I lost 48 lbs with the help of David Lee Nall! "Simply said, David is great to work with and most of all his methods get results. I have an extraordinary story to tell but it’s also a very long story. Respectfully, I’ll make this a quick, easy read and encapsulate everything into a few paragraphs. I made the decision to lose weight and get in shape after a couple of embarrassing job interviews, mounting health issues, and a sour date I'd had enough. With God’s grace I found a magazine called Natural Bodybuilding & Fitness where I discovered David’s article and I connected with his story. 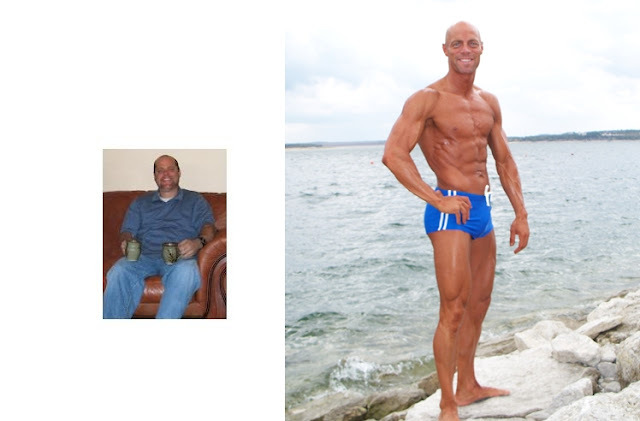 I followed David’s footsteps that he outlined in his article and I had great success. My health was improving, at this point I was well on my way but I needed further help. I then took a leap of faith and I hired David to be my coach. He gave me a phone consultation, customized diet plan and workout routine. This was my first time dieting and following a workout regimen so I emailed him with lots of questions. David always responded promptly and provided the answers, information, and resources that I needed to learn, develop and improve myself. I’ve since had two phone consultations and four in person training sessions. My plans are to continue my fitness journey and keep training for an INBF show next year. I feel very blessed to have been able to change and be able to live a healthy lifestyle. I appreciate David offering his services, sharing his experience and knowledge and for his leadership."